April is Autism Awareness Month in most of Canada. For the first time, with the publication by the Public Health Agency of Canada of “ASD Among Children and Youth in Canada 2018”, Canadians have a comprehensive snapshot of autism in Canada. 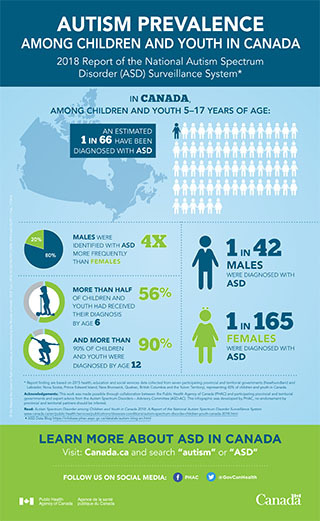 What lies ahead for the 1 in 66 children affected by ASD in Canada as they enter adulthood? Because of inclusive educational policies, todays’ Secondary School graduates will likely have had at least some contact with an individual with ASD. But improved awareness about ASD has not translated into significant improvements in adult outcomes. Indeed, we need look no further than post-Secondary education to see how much still needs to be done. Individuals with ASD have the lowest rates of university enrollment of all the disabilities and have less chance of graduating than their typically developing peers. In between, bright individuals under-perform, many students are socially isolated, and struggles with independent living are common. These difficulties often arise because students are ill-prepared for College or University life. Most will have received no targeted help in adolescence with the social-communication skills necessary for adult success, and the complexity of higher education can overwhelm individuals who have not been taught work arounds for difficulties with organisation and time management. Addressing these gaps may require changes to the Secondary School curricula for pupils with ASD, or the development of new post-Secondary transition courses targeting specific skills. Individuals with ASD have the lowest rates of university enrollment of all the disabilities and have less chance of graduating than their typically developing peers. Encouragingly, Colleges and Universities, have made big improvements in their support for students with all disabilities. Help and accommodations are now more easily available and successful peer mentoring schemes for students with ASD have also been established. But there are still significant challenges. Frequently there are not enough resources to provide proactive and targeted psychological support. Moreover some people choose not to disclose their ASD diagnosis for fear of stigmatisation. Also up to a third of adult students with ASD start post-Secondary education without a diagnosis and may not know why things are not going well. Indeed, ASD is particularly underdiagnosed in girls and women, and overall the condition is often not identified until an individual’s mental health deteriorates. In fact neurodevelopmental disorders, such as ASD, show strong associations with mental illness and adults with ASD can sometimes be more impaired by Anxiety, Depression or Obsessive Compulsive Disorder than by their social-communication difficulties. We now know that enabling adults with ASD to lead productive and fulfilling lives critically depends on identifying and successfully treating these other conditions, which previously may have been overlooked. But significantly improving mental health in the ASD population will require a shift in perceptions: ASD is now so common that diagnosis and management can no longer be the preserve of specialists. The challenges are in identifying ways of efficiently educating health professionals about a childhood onset condition that persists into adult life, and ensuring that health systems properly factor adult ASD into service planning. Encouragingly, Colleges and Universities, have made big improvements in their support for students with all disabilities. A major incentive for rethinking adult services is the sizable bill to taxpayers. ASD is usually thought about in a childhood context, but in fact 90% of ASD related expenditure occurs during adult life. And nearly half of those costs are due to high rates of unemployment. In developed countries only 15% of adults with ASD are in full time work, and where longitudinal data are available, that figure has not improved in the last 10 years. Additionally too many individuals are underemployed or remain stuck in starter jobs. What are we not doing right? Allowing youngsters to graduate from Secondary School without necessary pre-employment skills is an obvious problem and finding and keeping work is a challenge for anyone who is anxious or depressed. But many obstacles to employment lie outside the individual with ASD. ASD is usually thought about in a childhood context, but in fact 90% of ASD related expenditure occurs during adult life. The belief that employing someone with a disability is likely to be bad for the bottom line is unfortunately still too common, whereas the data point in the opposite direction. Employees with disabilities are usually hard working, change jobs less frequently and seem to improve job satisfaction amongst other employees. Nevertheless, educating employers may not be sufficient to make a real dent in the ASD unemployment rates and we need a much better understanding of the potential impact of tax breaks and other incentives or possibly new legislation. But employment is not just about money. Work gives us structure, influences our sense of self and our colleagues can provide an important social network. Individuals with ASD are still missing out on these important determinants of quality of life, whilst the rest of us are not benefitting from their talents and abilities. It is very tough to attract research funding for practical projects focused on the needs of youth and adults. 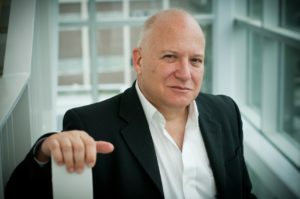 A group of researchers at the University of British Columbia, led by Dr. Bailey, have set up an innovative 12-week group workshop to help adults with ASD succeed in higher education and the workplace but they need funding to proceed. To see how you can help, visit the crowdfunding page. This entry was posted in News on April 10, 2018 by ACT.